* This bicycle helmet uses a quick-release buckle that is simple and can be buckled and unbuckled without change the adjustment. 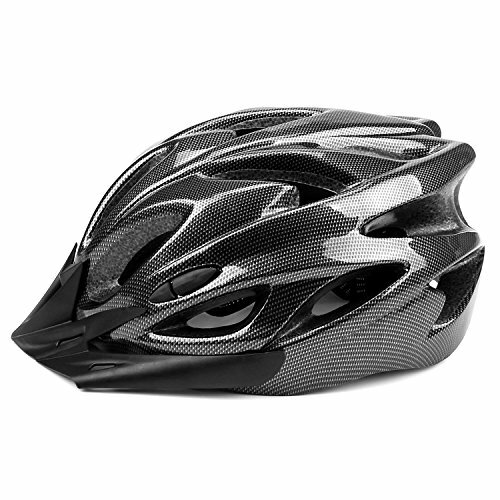 * The special aerodynamic design that makes air ventilated can keep cool during riding a bike. * This helmet is made of PVC & PC, EPS foam material, with CPSC Certified, is a lightweight and high quality helmet. * 54-62 cm adjustable strap can meet the satisfactions of most cycling riders.